Supplied in a heavy duty water resistant travel pouch with buckle fastening and rucksack securing clip these small but fully featured first aid kits are perfect for the conscientious traveler, outdoor activities, camping, trekking, and cycling or for those who work outside. 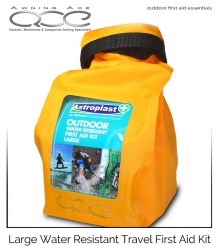 The transparent front pouch window allows for easy viewing of the contents without opening the bag making it ideal during inclement weather. These first aid pouches can be secured to your hiking, backpack, camping or climbing kit using the strong plastic clip, so it is instantly at hand when you need it. 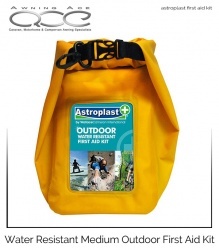 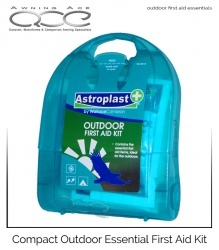 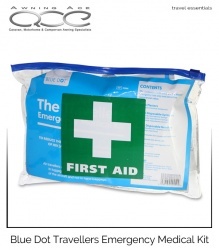 This first aid kit is perfect for music festivals and outdoor sports and makes a superb Christmas stocking filler.